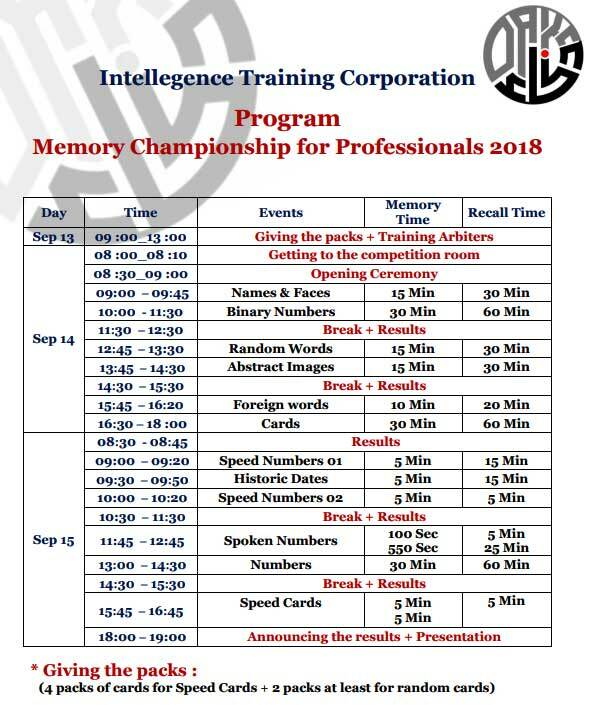 We invite you to participate in the: Memory Championship for Professionals in Algiers 14th and 15th of September. The championship is open to all and with international standards. We’ll be honoured with your presence. Please go to the link and register.